HausZwei Homes Energy Saving Home! Another HausZwei Homes renovation in Decatur’s Meadowbrook Acres is coming soon! This is a hot hot neighborhood and this is the perfect home with open floor 3BR/3BA, 2 master suites that are on opposite sides of the home, energy efficient LED lights in every single lighting fixture both inside and out so never changing light bulbs for a while. Icynene spray foam insulation for added comfort . White kitchen cabinets, granite counter tops, glass backsplash and black stainless steel appliances. French doors in the dining room lead to a 12’x16′ deck overlooking .70 acres. Hardwood floors, security system, master suite on opposite sides of the home great for overnight guest or inlaw suite, this is the home of the future now. 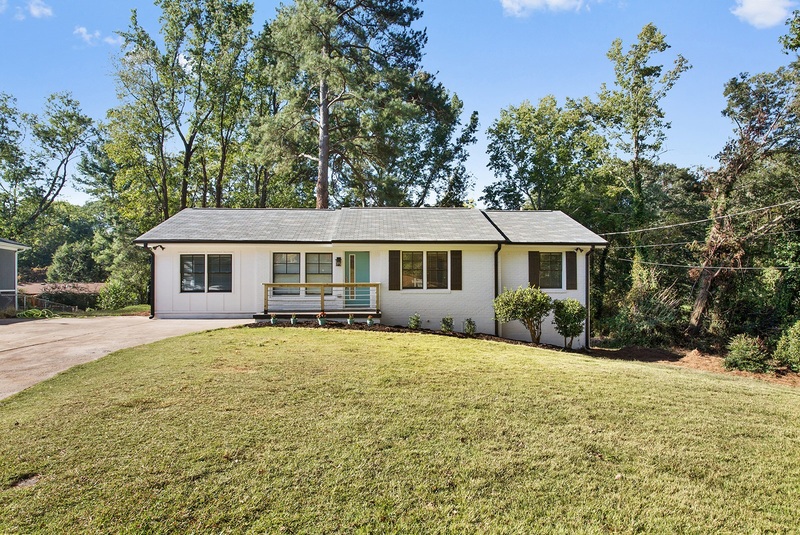 Meadowbrook Acres, homes aren’t on the market long because it is the “it” n’hood in Decatur, affordable and 10 min to City of Decatur, Kirkwood, Avondale Estates & easy access to Emory/CDC, E. Atl Village, shopping and interstates. See 3197 Bonway on HausZwei Homes that was sold in July for a sample of what the interior will look like. In 2016, we have completed 3453 Wren Road and 3195 Betty Circle in Meadowbrook Acres. We’re sold on Meadowbrook Acres and believe once you find this hidden gem so will you.